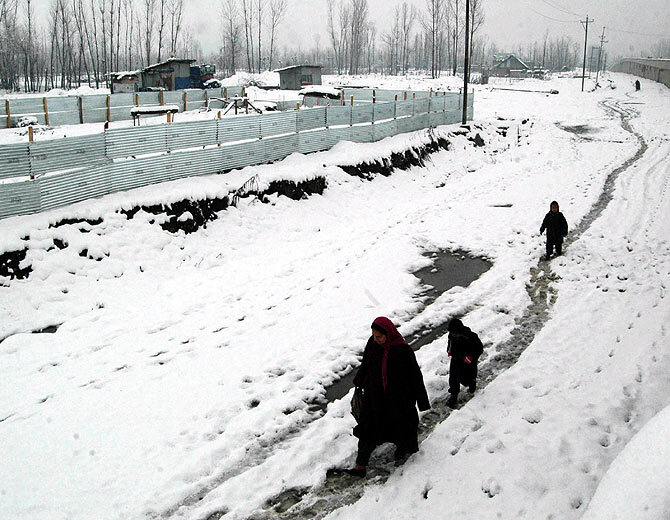 Kashmir Valley is in the grip of a cold wave following fresh snowfall. 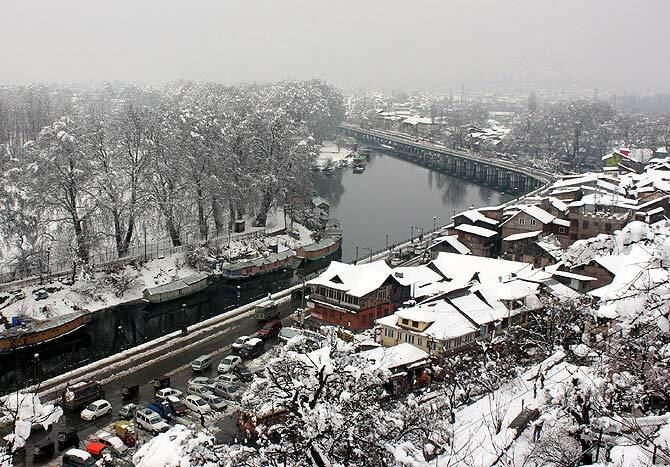 The Valley has received a good amount of snow in the past ten days, receiving the season’s heaviest snowfall on New Year’s eve and a second dose ten days later. 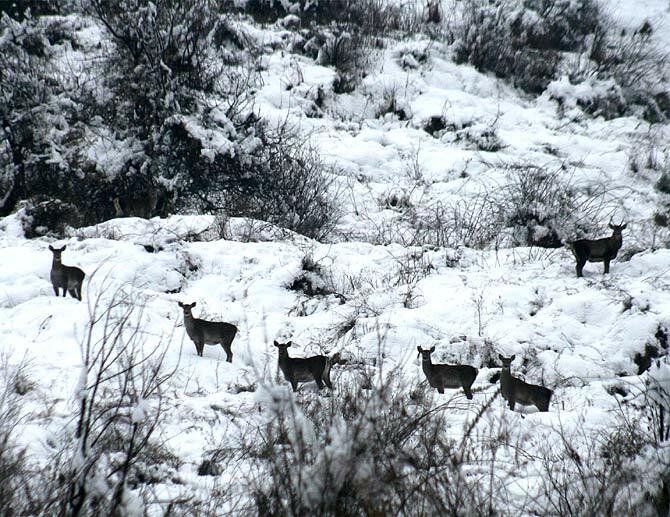 The fresh snowfall has compounded the winter woes of the locals. 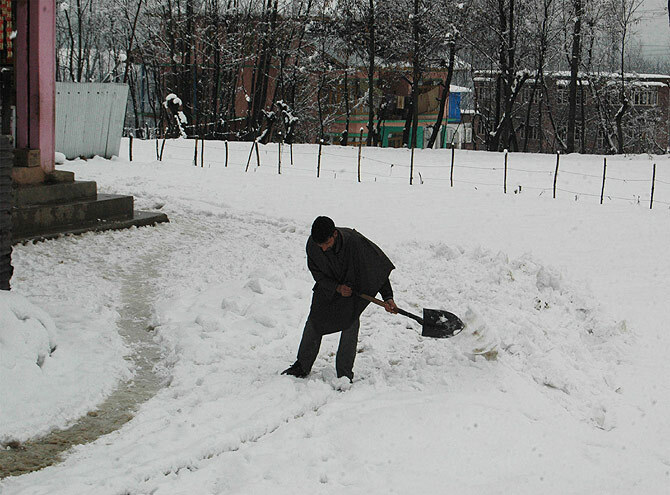 The problems set off by the New Year’s eve snowfall is yet to be tackled fully by the local administration. 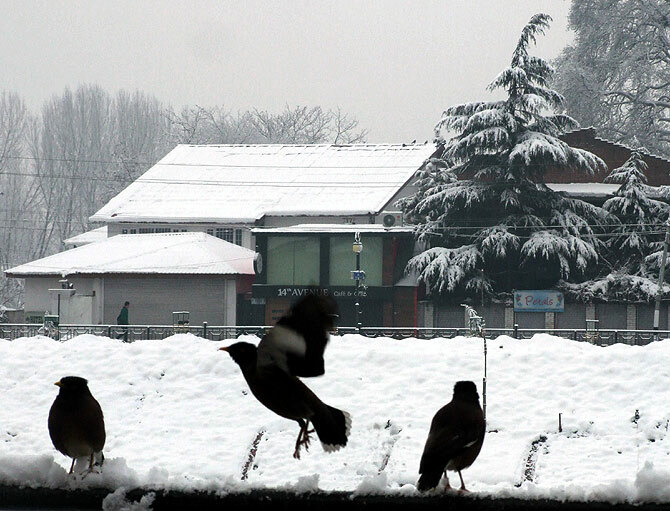 Remnants of the first snowfall are still visible in capital Srinagar. Roofs of the houses are loaded with snow and icicle formations hang from the roof ends like long spikes. Mounds of snow line the roads narrowing the driving space for motorists. Power supply in many areas is yet to be restored fully. 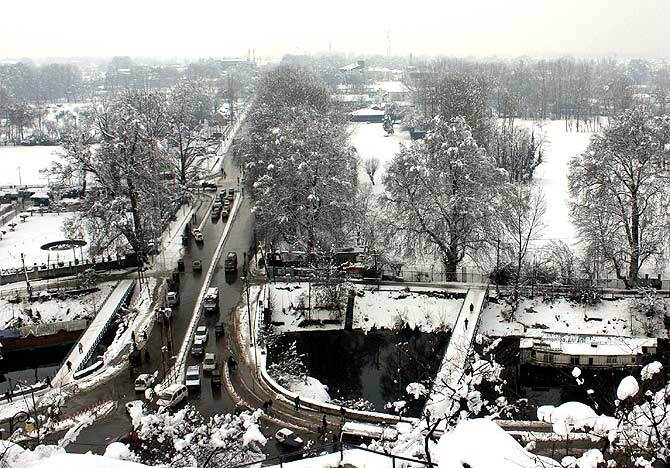 The fresh snowfall has yet again cut-off the valley’s road connectivity with the rest of the country. 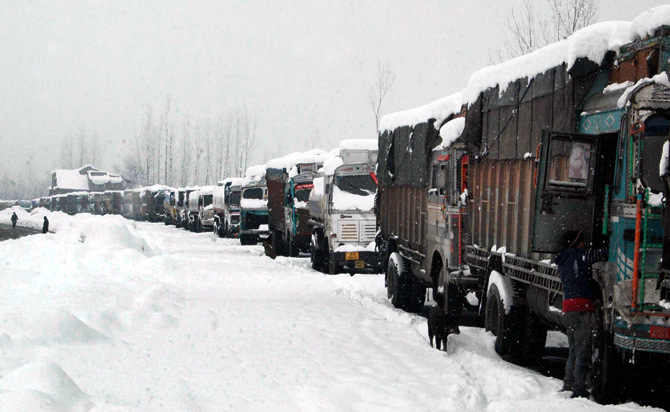 The traffic on the strategic Jammu Srinagar national highway was halted on Wednesday following the snowfall. However, the snowfall has not caused any disruption in air traffic this time. 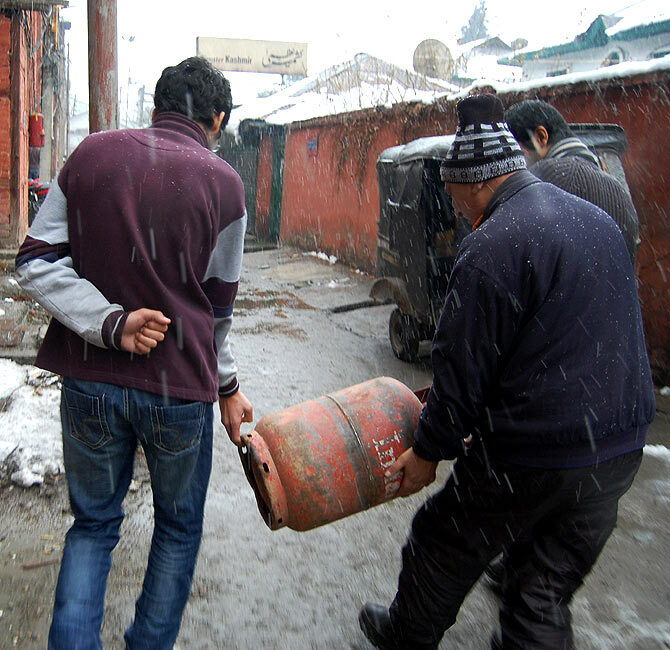 Local residents are facing shortage of LPG cylinders, which are now the number one cooking mode in capital city and other urban areas. The cold wave conditions persist forcing the residents to minimise their outdoor activities. Education institutions are closed for a long winter break giving reprieve to the students from the wintry chill. Hundreds of thousands of migratory birds have made their way to the valleys wetlands for their annual sojourn. 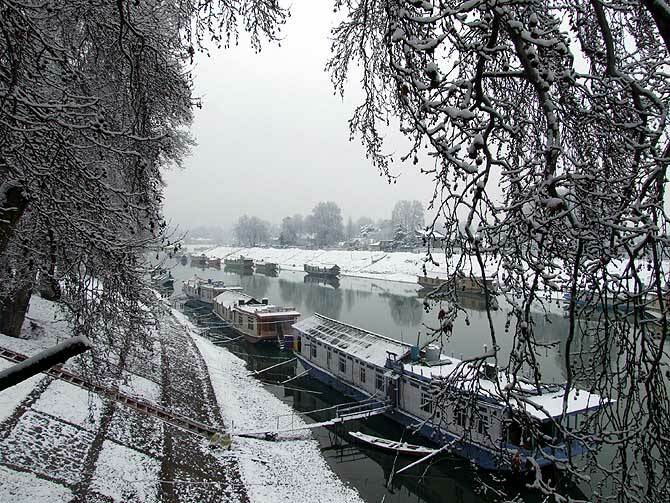 The Kashmir wetlands are teeming with variety of fauna and offer a scintillating spectacle. 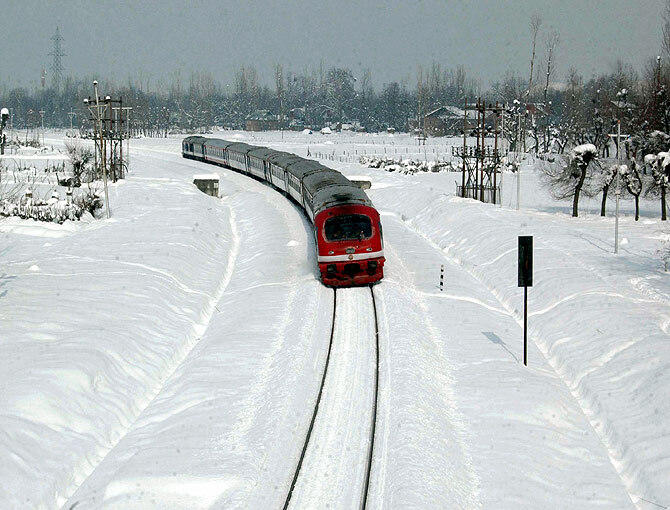 The visiting tourists are having a gala time particularly in the winter resort of Gulmarg which is set to begin a flurry of winter sports soon. 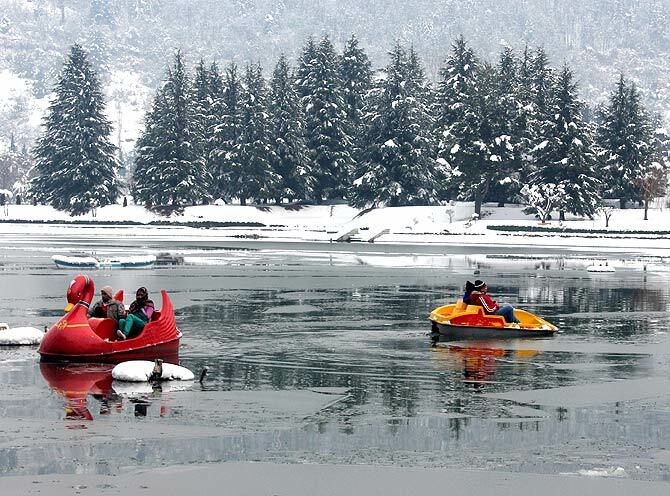 Tourists enjoy a boat ride at the botanical garden in Srinagar. 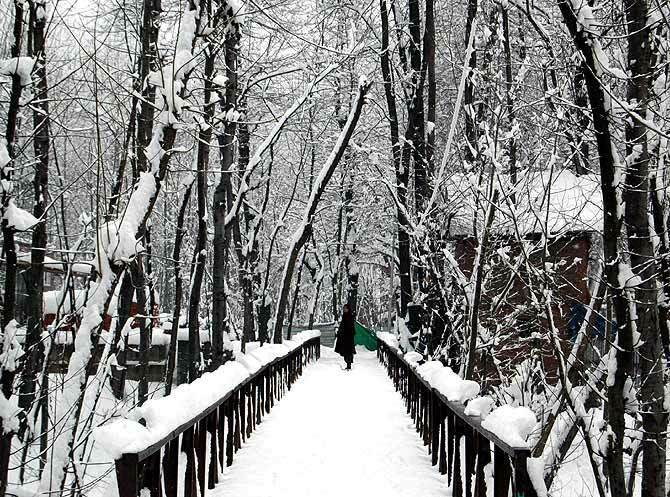 A girls walks on a snow covered bridge in Srinagar. 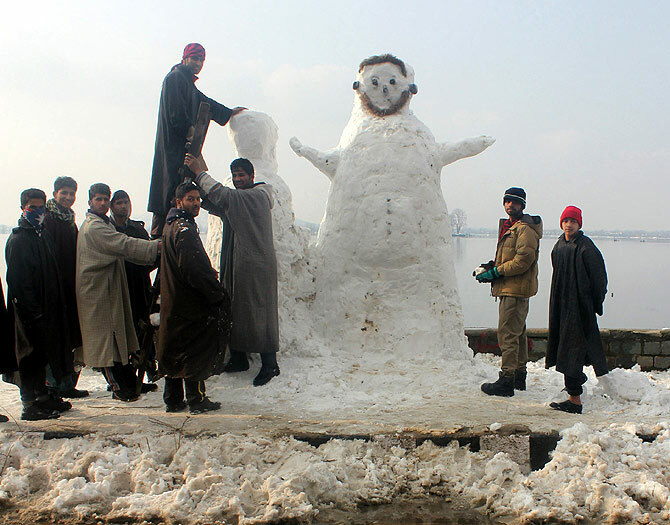 Youngsters make a snowman at the banks of the Dal Lake after heavy snowfall in Srinagar. 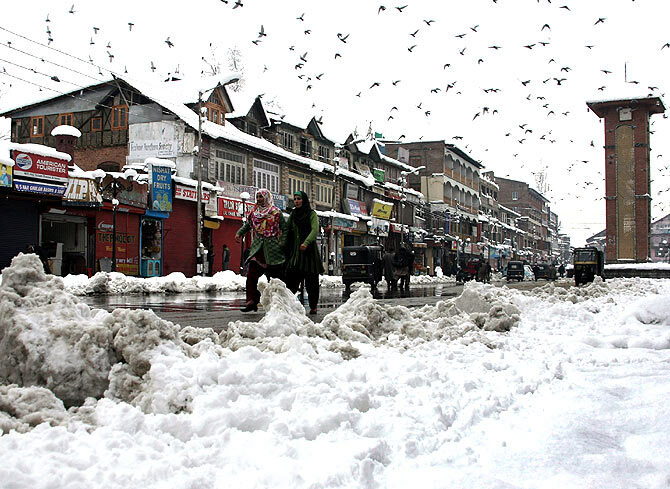 Few motorists ventured out after heavy snowfall in Srinagar. 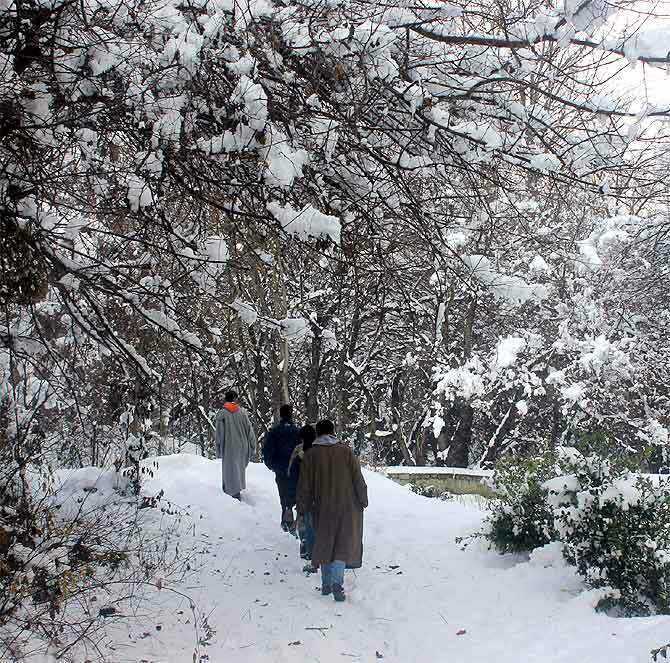 Locals make their way through snow covered pathway. 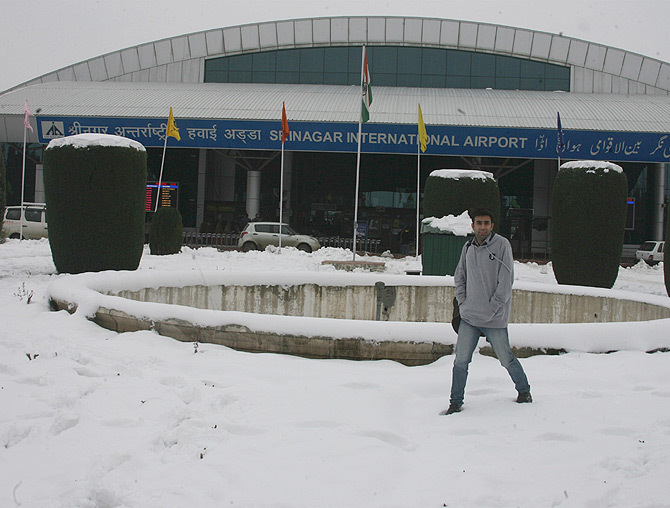 The view outside Srinagar international airport.